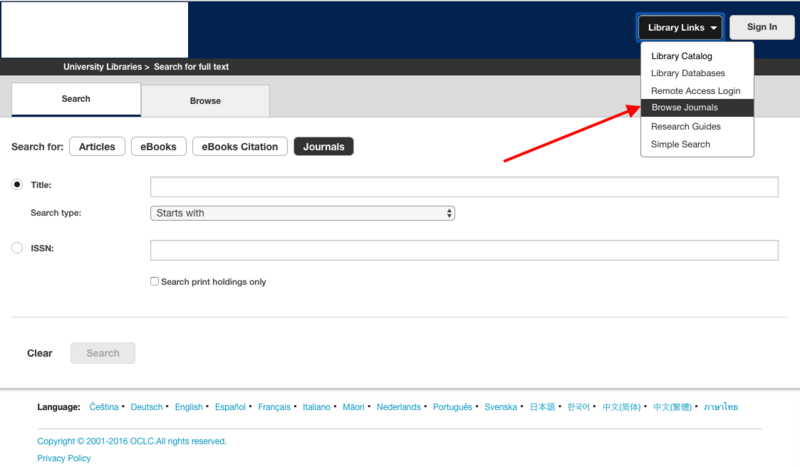 A number of libraries who utilize OCLC WorldCat Discovery for searching their collection want to provide a direct link to BrowZine from within the WorldCat Discovery interface. This can be easily done using the OCLC Admin Tools. 1) Login to the OCLC Service Configuration site. 3) This will expand to show a sub-menu and select "User Interface Options". Scroll to the bottom of this list to the section called "Custom Links". That's it! Your new direct link to your BrowZine Library should be ready!